Quantify and visualize the Red Cross’s internal “vulnerability and capacity assessment” system to track historical data and improve understanding of regional needs and trends. 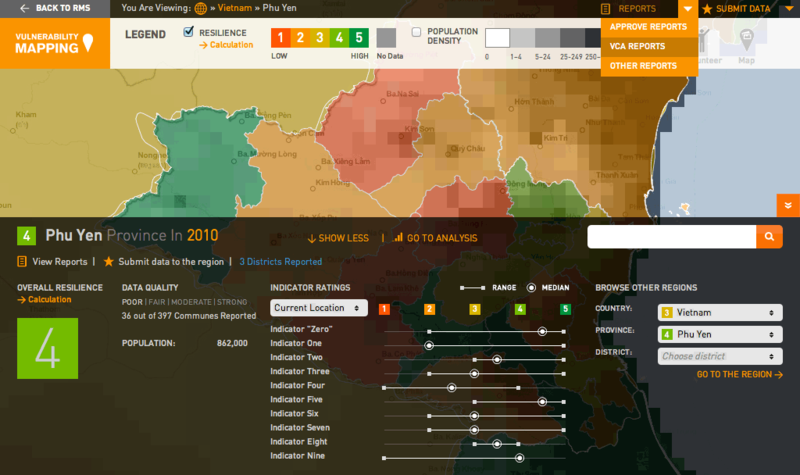 The map view of the vulnerability/resilience mapping tool. Each region receives a color based on its overall resilience—an aggregate of ten indicators rated by local staff. A single click on a geographic region opens an ‘info window,’ and a double click zooms into the region and shows sub-regions. 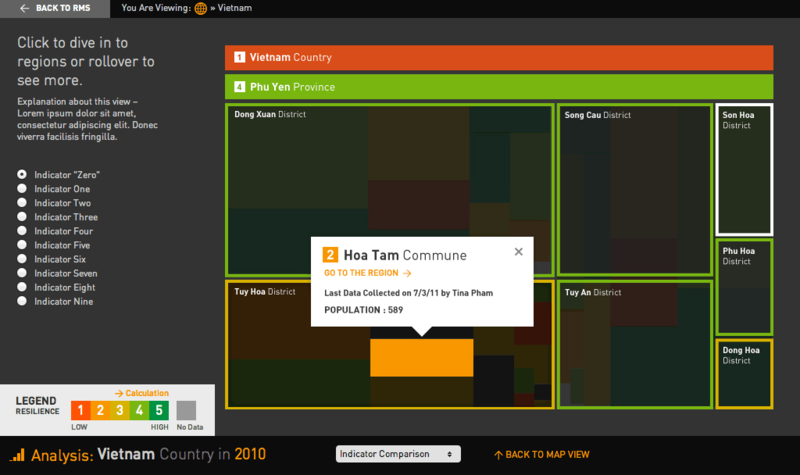 Here, we see a zoomed in view of a province in Vietnam, and an info window for one of its districts. 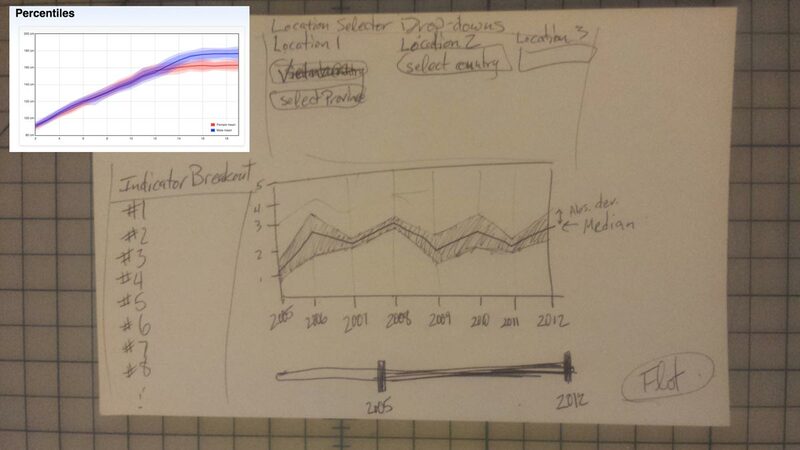 The user can click to open a ‘drawer’ containing additional information and a visualization breaking down individual indicator ratings. 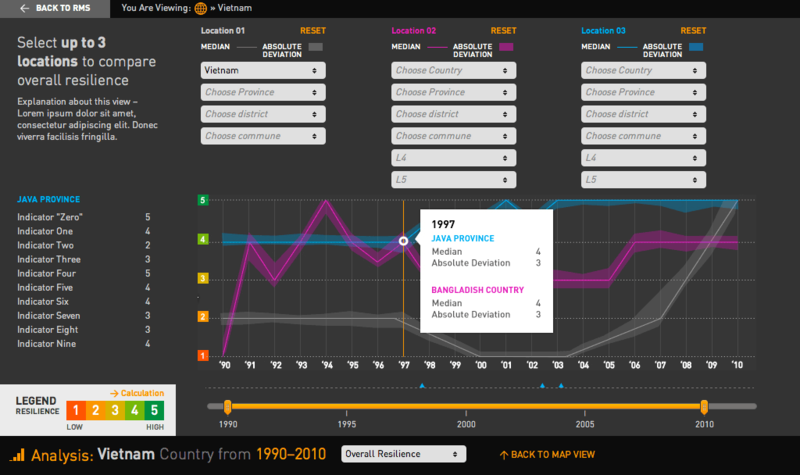 The global vulnerability mapping site also has an interface for submitting ratings and reports. 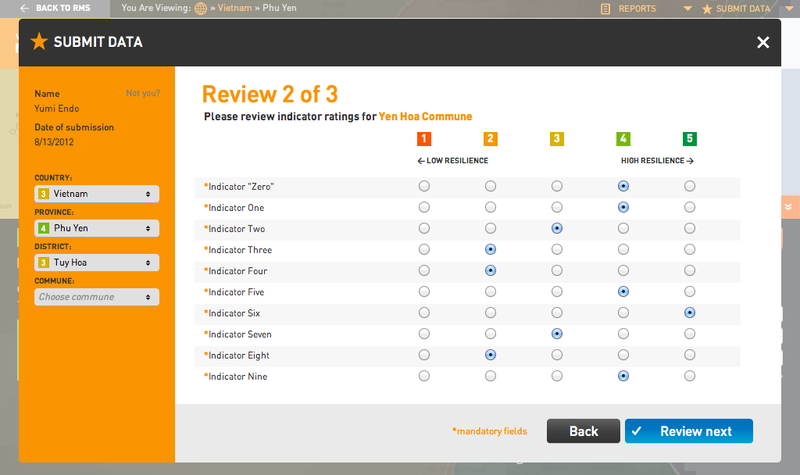 Shown here is a review page after the user has uploaded a spreadsheet containing ratings for three locations. This section of the analysis module came directly out of my research into Flot Charts: the user can view a comparison of up to three regions over time within an line chart, with shading that indicates the standard deviation from the median rating. This tree map visualizes overall resilience through color, while size denotes a region’s population. 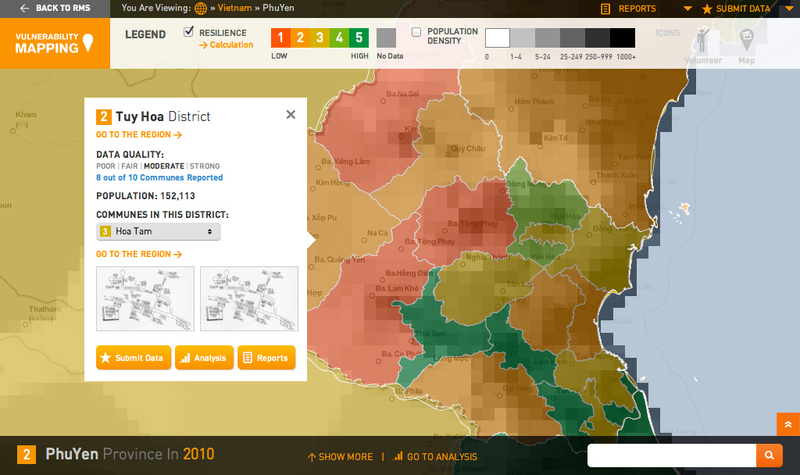 A standard map focuses on geography, but this visualization helps a decision-maker understand how each commune, district, and province contribute to a region’s calculated resilience through its rating and population. A user can get to this view from the map, as well as toggle between this view and the line chart showing overall resilience across time.